This story is of a young boy named Deepak who was born in a remote village of Kodekela, Pathalgaon Development Block, district Jashpur of Chhattisgarh. He combated the challenges coming in his way to fulfilling his dream of becoming an engineer. Born in a poor family of farmers, his parents and two elder sisters were not educated. Nobody in his family could tell him the importance of education, he had no clue where he would stand in future but over and above all hurdles, he had enthusiasm and curiosity to read and learn which motivated him to study hard. The environment in the family doesn't support education, but still, the passion to study led him to walk daily 3 to 4 km to school. Even after coming home back from studies, he used to help his parents at farm and home. He studied hard rest of the time. In such difficult circumstances also he uses to top the class since the beginning. Things were moving in right direction till he reached the 8th standard, but the village school was still 8th standard only and students who wish to study further, need to take admission in town school. Seeing to his zeal and determination, his father knew that someday his son is going to make him proud so he supported him and he took admission in a government school of Kankari Tahseel. In his new school, he started performing brilliantly. Seeing to his extraordinary performance in studies, teachers use to say that "You will surely become an engineer one day". This was the first time he got the aim of his life, the inspiration to become an engineer. At that time, the innocent child was not even aware of how to become an engineer. Teachers told him, he should excel in mathematics and he needs to appear in PET examination. When he doing his metric studies, his teachers told him about free Coaching class for engineering entrance test. This free Coaching class named "Sankalp Sikhshan Sansthan" is Government sponsored and operated. He got selected in "Sankalp Sikshan Sansthan" by securing a good rank in the entrance test. 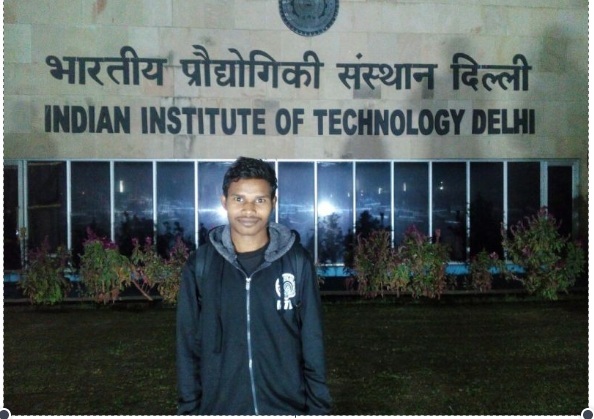 After joining Sankalp, he got to know that prestigious IIT is the best institute for engineering courses. But getting admission in IIT is the most difficult task. Deepak was determined to make his place in renowned IIT, by fighting all the difficulties coming on the way of his dream. His teachers supported him in all possible ways. Finally, the moment came, that decided his future. Result for "JEE Mains" was announced. He has successfully taken the first step towards his goal. As expected, he got 681 rank in ST category and got admission to his dream college IIT Delhi in Textile branch. 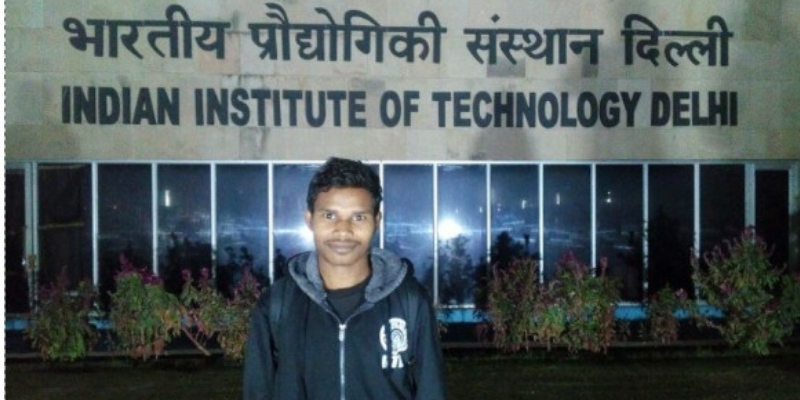 The boy from a remote village of Chhattisgarh has made it to IIT with his hard work and serious efforts. Deepak's inspiring journey to fulfill his dreams is still on the way and we are sure he will reach far. He has made his parents, teachers and the whole village proud of his accomplishment. Coming from a very humble background, he spent his childhood with limited resources. He has shown the world "If you are determined to do something, nothing can stop you from succeeding." We wish him to get the best of everything in his life.